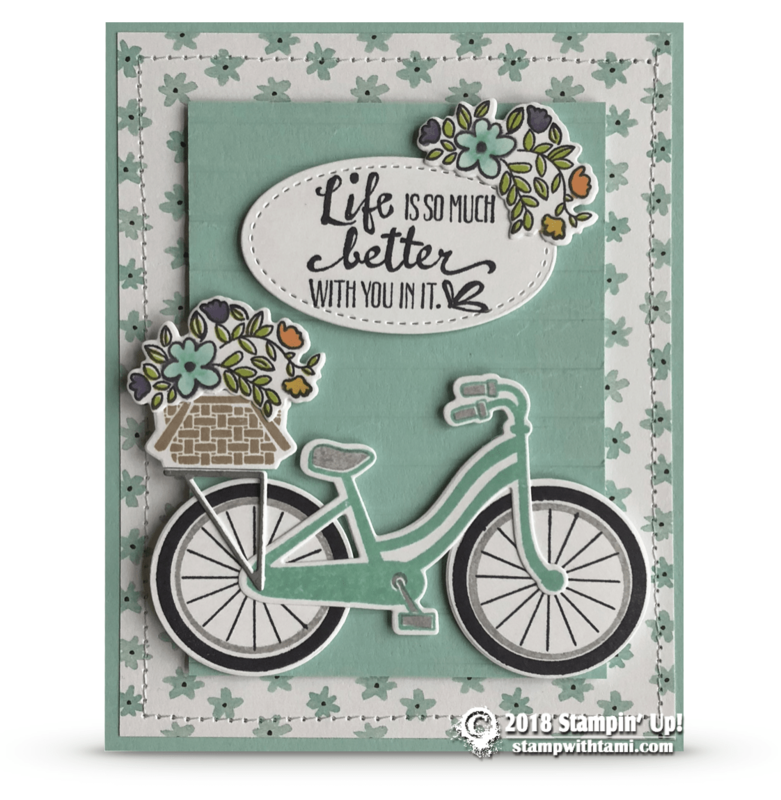 “Life is so much better with you in it” card from the Stampin Up Bike Ride stamp set and coordinating Build-a-bike dies. The words are from the Petal Palette stamp set, and stamped on an oval cut from the Stitched Shapes dies. The pieces of the bike, basket and flowers are stamped, colored with ink pads and blender pens, then cut them out with the matching dies. The Pool Party layer was textured with the Simple Stripes folder, then layered over Whole Lotta Lovely designer paper. This is part 2 in my 2-part mini-series featuring this bundle. Click here to see yesterday’s adorable card. Great cards! There is a edge around the cards that looks like it was sewn and not from the stitched framelits. How was that achieved? Love the colors and DSP! !